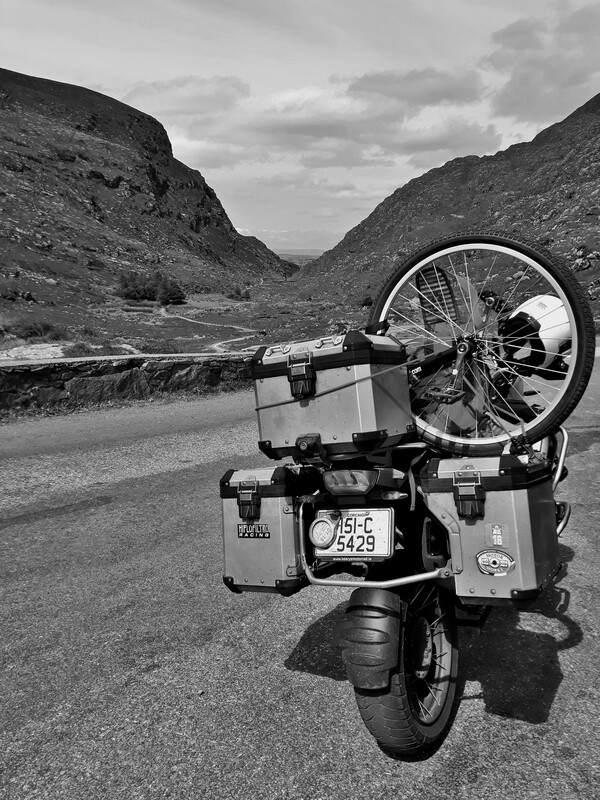 To unicycle around Ireland has always been a dream of mine. My name is Anais Charbin. I was brought up in a family of adventurous travellers in France. I started to travel alone at an early age, from humanitarian missions to road trips, from Africa to Asia, and through Europe and Canada. 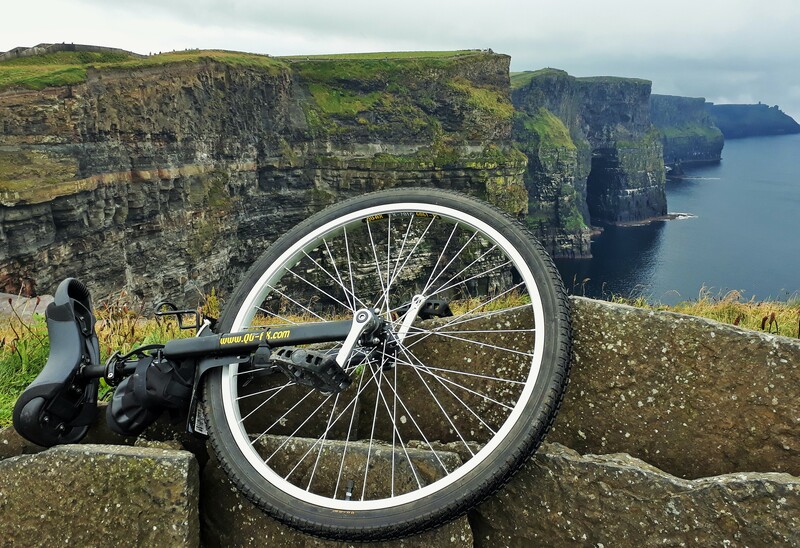 As a fervent competitor, I felt I lacked objectives, and rather than giving up, I chose to take out my dusty unicycle and to combine the two dreams that I had never really admitted to: going on a trip by unicycle and visiting Ireland, its mysteries and its green landscapes. While people asked me “why?”, I asked myself “how?”, and I must confess I have never really discovered the roots of my project. The reasons did not matter so much as the exhilaration. I learnt how to ride a unicycle when I was in secondary school, when I was in French or Latin lessons, in the same way as I would have learned to skate. My unicycle was tucked away in the garage for several years, getting sometimes an airing when I fancied a change of intensive sport. But deep down, I knew it was important to me and it would bring something special to my life. Even a few months before everything took shape, I did not dare say the project was under way. One month before leaving, I bought my first long distance unicycle. And then, I equipped it, pampered it, swaggered along for hundreds of kilometers with books in my backpack for training. I meticulously chose each item to put in the backpack, to make it as light as possible – from the half-full tube of toothpaste to the whistle attached to my straps. Then I bought my plane ticket. 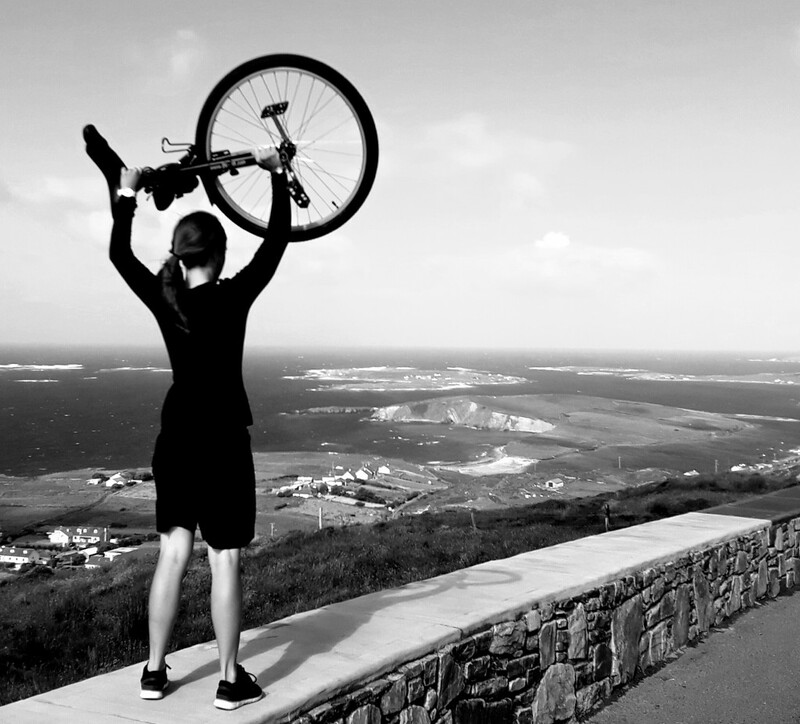 I felt I was probably able to ride alone on a unicycle for more than 300 kilometers on Irish roads with 6.5kilos on my back. Till the very last moment, I was still teaching my body how to react and to perfect its movements. Finally, I packed my things and off I went. First step – flying from Lyon to Dublin, and then heading for Cork by bus. 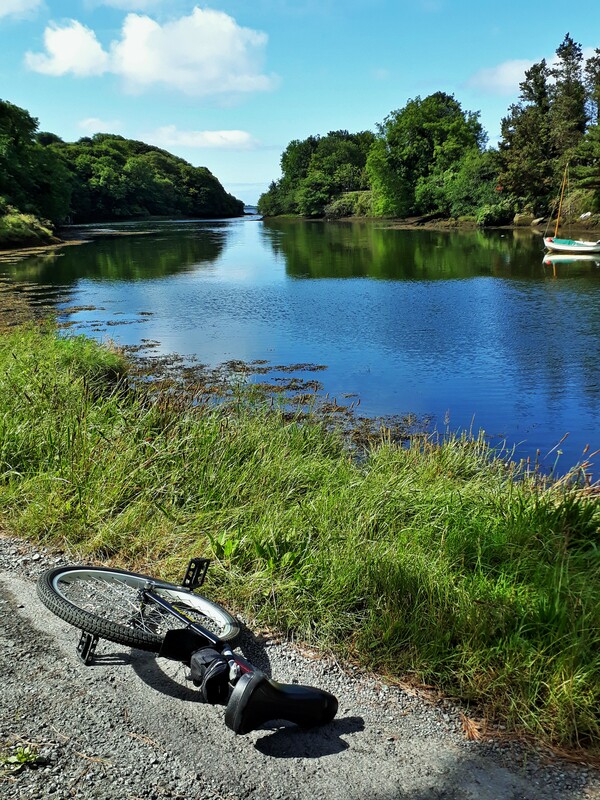 From the very beginning, pedalling to Kinsale through hilly country roads gives me a lot more than I would have imagined. A feeling of joy and freedom. And even when unexpected and steep hills break the momentum, I get back into motion. The landscapes come one after another. On the following days, indented Irish coasts and deep countryside, small fishing harbours and colourful villages. 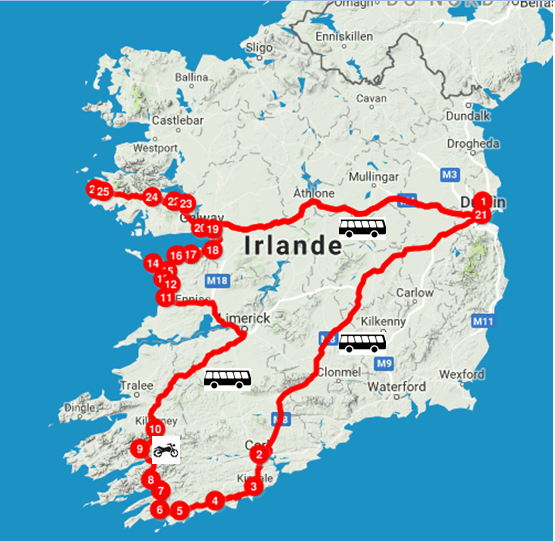 Clonakilty, Skibbereen, Ballydehob, Bantry, Glengarriff. On the advice of locals, which I swore to heed, I am not taking the road to Killarney. I am lucky to cross paths with my beloved team of bikers who I had met before and who will take me to the next destination through sideroads and breathtaking detours. 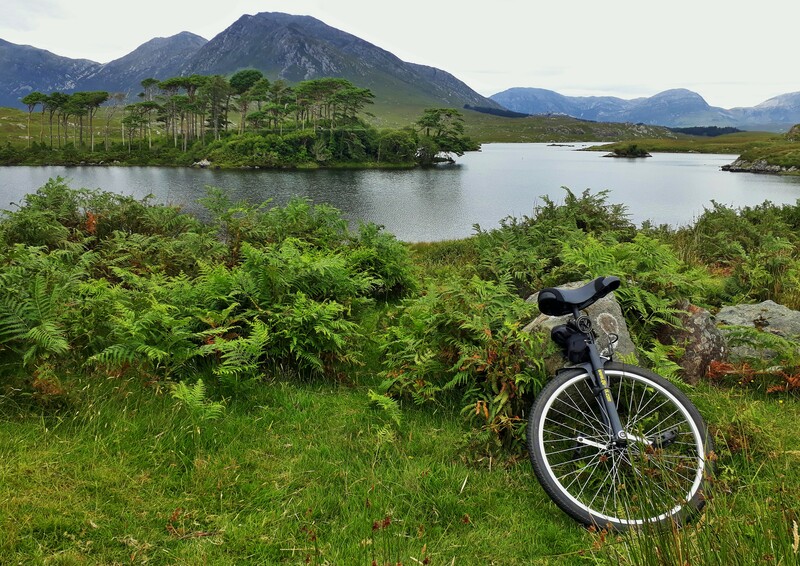 Then I chose to ride the two wheeler to fully grasp the beauty of National Park in Killarney, before taking the bus back to the west coast, near Milton Malbay. The second part of my journey starts in Lahinch and goes up to Galway through Doolin, Ballyvaughan, Kinvara et Oranmore. Once more, I follow some wise advice and I reach the Connemara by coach through Oughterard. The last stages take me onto steep roads around the Lough Corrib Lake, then between Maam Cross and Ballynahinch. 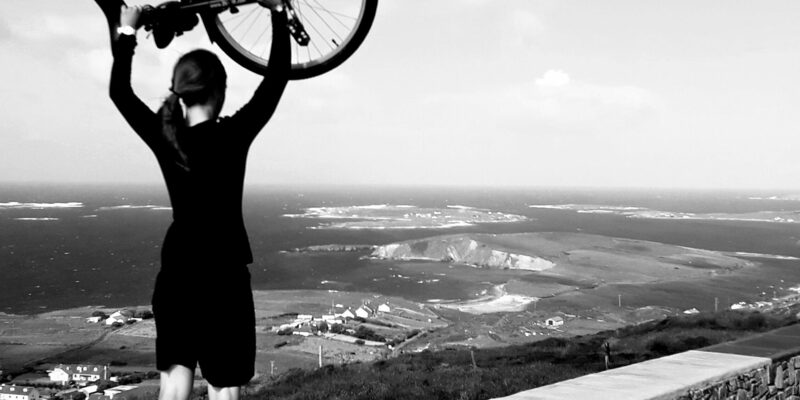 And then the last but by no means least ride which I had planned from the start, feet screwed to my pedals and head in the clouds after such an experience: the Sky road from Clifden. Now is the time when I must tackle the subject of my encounters. I am unable to name them all but I must at least tell you what they did for me. Above all, I was lucky enough to be made welcome by locals thanks to couchsurfing. I shared intense moments of my life and moving and eccentric stories with them. I came across some strikingly genuine personalities and I am more than grateful to them. Thank you to Shashank, Michael (and his great housemates), to Martin (including Ed and Stephen), Anja, Suzy (and Hendrick), Ronan (and all his great friends), Will (and his sister), Pietje (and Philippe and Lisa) Cillian (and his housemates and friends). I also experienced the warm atmosphere of youth hostels – like a big family and a nest of discoveries. Thank you to Paul, Adrien and Sam (Go-Go and Chental) for your welcome in Ben Lettery Youth Hostel. Thank you to Bridget, Brenda and Jenni for allowing to rest in comfort in your superb B&B with, in addition, a lot of attention and love. Also Mrs. Bowley for helping with translations. What I draw from this experience lies in its slow motion. I was fortunate to have the time to enjoy the scenery passing before my eyes at the speed of the wheel, to enjoy every encounter, every look. I also had the good fortune to cross paths with amazing people who gave my solitary trip a collective meaning, a desire to converge and share cultures and dreams. If you want to read more about the adventures to be had in hostels in Ireland, subscribe to our monthly newsletter.